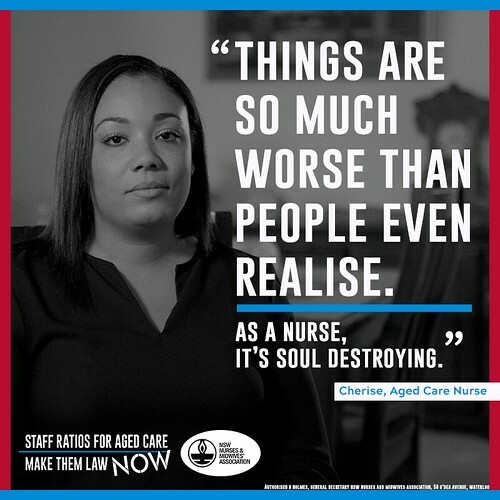 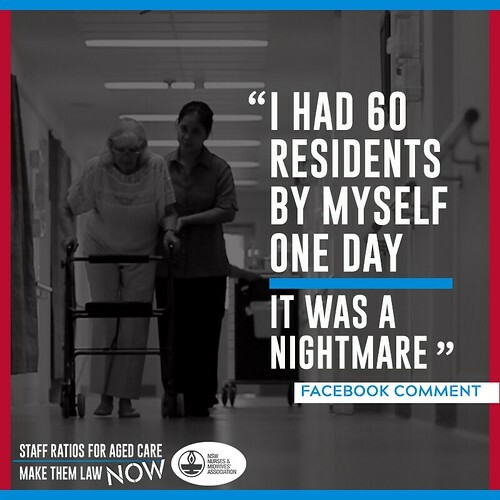 Hard-pressed nurses and care staff do the best they can in impossible circumstances, but they are run off their feet and can’t provide the care they want to. 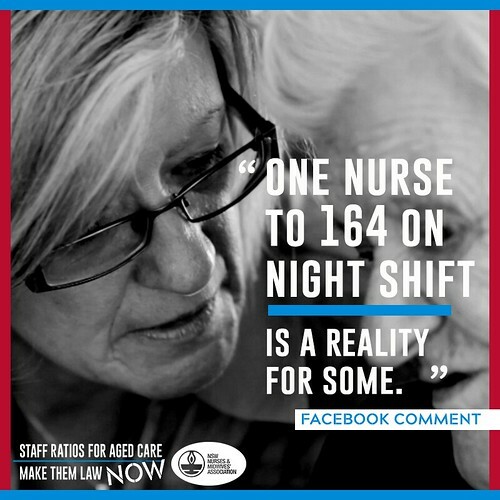 It’s time we give our loved ones the care they deserve. 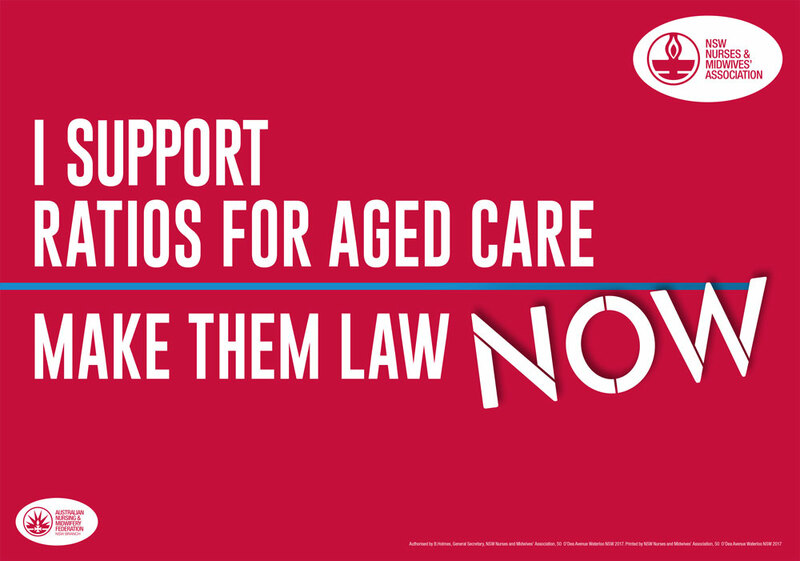 Make aged care ratios law, NOW. 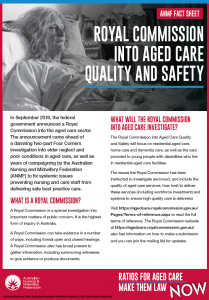 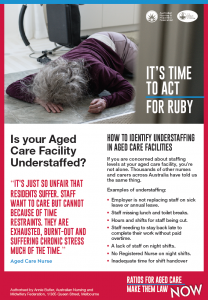 Is your aged care facility understaffed? 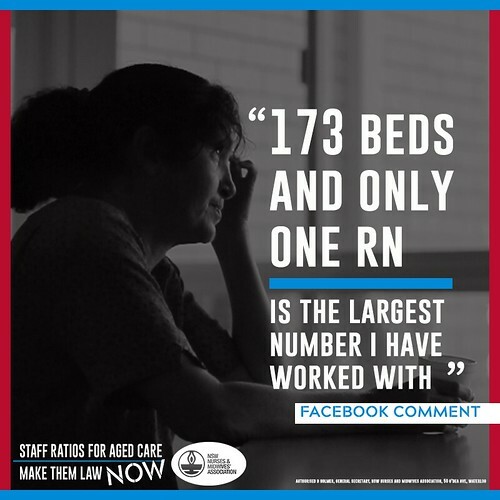 National Aged Care Staffing and Skills Mix Project Report 2016.